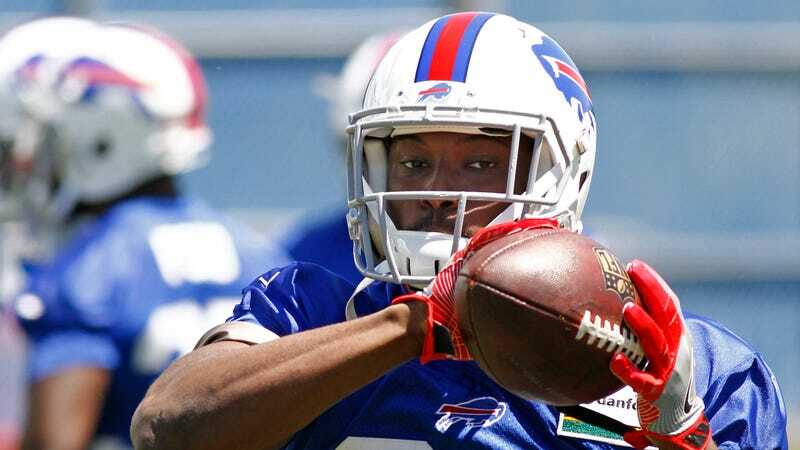 Earlier today Bills running back LeSean McCoy was accused of beating his ex-girlfriend, Delicia Cordon. The accusation was made by a friend of Cordon’s in a since-deleted Instagram post that included a picture of Cordon’s battered face. Now, police in Georgia are saying Cordon was the victim of a targeted home invasion. On July 10, 2018 at approximately 3:18 A.M., Milton Police responded to a home invasion at a residence on Hickory Pass near the Cherokee County line. The preliminary investigation indicates that this residence was specifically targeted by the suspect or suspects, and not a random incident. When officers arrived they found one victim who had been physically assaulted by a lone intruder. During the altercation, the suspect demanded specific items from the victim. An adult female victim was treated and released at North Fulton Regional Hospital. A second adult female victim also sustained a minor injury during the incident. Update (4:47 p.m. ET): TMZ reports that in June, McCoy attempted to have Cordon removed from the home in Alpharetta by court order. According to the court documents cited by TMZ, McCoy asked the judge to order Cordon to leave the house and return to him various items that were in her possession. Update (5:30 p.m. ET): The Heavy obtained a court document that was filed by Cordon’s attorney on June 22 in response to McCoy’s attempt to have Cordon removed from his home. According to the document, Cordon and her 16-year-old son have been living at the house since October 2016. The document claims that while Cordon was out of town to attend her sister’s graduation on June 1, McCoy sent friends and family members to the house to remove Cordon’s belongings without her knowledge. The document says Cordon became aware of this by checking the a feed house’s security cameras, and called the police to stop the removal of her belongings.